Who can get the Section 199 deduction? Sec. 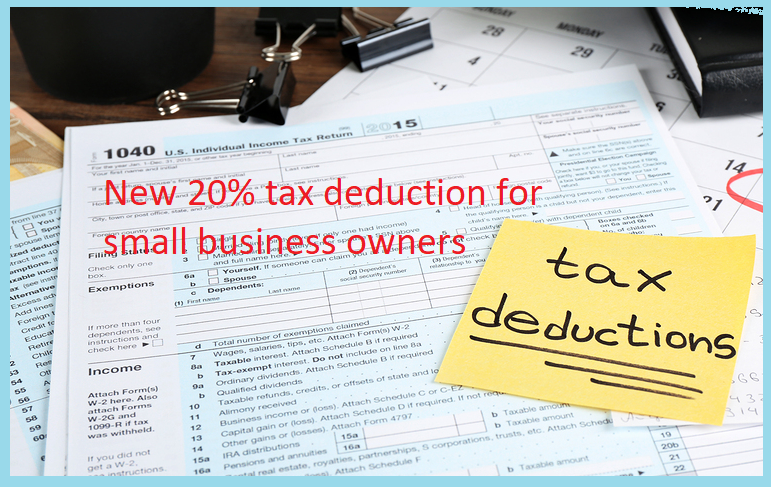 199A allows a deduction for up to 20% of the qualified business income (QBI) from partnerships, limited liability companies (LLCs), S corporations, trusts, estates, and sole proprietorships. For any tax year, QBI is the net income (gross income/gains minus deductions/losses) with respect to any qualified business of the taxpayer. The income must be effectively connected with the conduct of a U.S. trade or business. Certain investment items are excluded from QBI, including short-term and long-term capital gains and losses, dividends, and interest income not properly allocable to a trade or business. QBI also does not include reasonable compensation payments to a taxpayer for services rendered to a qualified business, guaranteed payments to a partner for services rendered to a business, and, to the extent provided in regulations, a Sec. 707(a) payment to a partner for services rendered to the business (Sec. 199A(c)). If the taxpayer’s taxable income is below $157,500 ($315,000 for joint filers), Section 199A deduction is equal to the lesser of (1) 20% of QBI or (2) the overall limitation (20% × taxpayer's taxable income in excess of any net capital gain). A and B file a joint return on which they report taxable income of $310,000, of which $20,000 is net capital gain and $250,000 is ordinary net income from A's interest in an S corporation. A and B's QBI deduction is $50,000 (20% × QBI of $250,000). QBI deduction is $50,000 before applying the overall limitation of $58,000 (20% × [$310,000 taxable income — $20,000 net capital gain]). A and B's Sec. 199A deduction is $50,000 — the lesser of $50,000 or $58,000. What if the taxable income exceeds the thresholds? Calculating the pass-through deduction is complicated if the taxable income exceeds $157,500 for Single filers and $315,000 for joint filers. (2) 25 percent of W-2 wages, PLUS 2.5 percent of the original purchase price of the long-term property used in the production of income, for example, the real assets or equipment used in the business. Thus, if you have neither employees nor business property, you get no deduction. The rule is intended to encourage pass-through owners to hire employees and/or buy resources for their business. A and B file a joint return on which they report taxable income of $450,000, of which $300,000 is ordinary income from W's interest in an S corporation that is not a specified service trade or business. A's allocable share of the business's W-2 wages is $80,000, and his share of the business's unadjusted basis in its qualified property is $600,000. A and B's wage and capital limitation is the greater of (1) 50% of W-2 wages, $40,000, or (2) the sum of 25% of W-2wages, $20,000, plus 2.5% of the unadjusted basis of the qualified property immediately after its acquisition: $600,000 ×0.025 = $15,000, for a sum of $35,000. The amount of the wage and capital limitation is therefore $40,000. A and B's QBI deduction is the lesser of 20% of QBI, $60,000, or the wage and capital limitation of $40,000. QBI deduction is $40,000 before applying the overall limitation of $90,000 (20% of $450,000). A and B's Sec. 199A deduction is $40,000. A and B file a joint return on which they report taxable income of $450,000, of which $300,000 is ordinary income from A's interest in an S corporation. A's S corporation is a specified service trade or business because it performs consulting services. A and B cannot take a Sec. 199A deduction based on the income from the S corporation. The calculation is much more complicated for the taxpayers between lower and higher thresholds. Our tax team will do the calculation considering all the rules if you fall into this case.